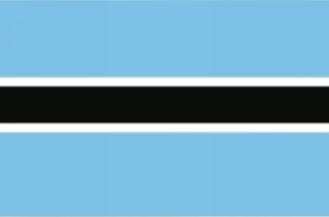 The Republic of Botswana is a landlocked country in Southern Africa. 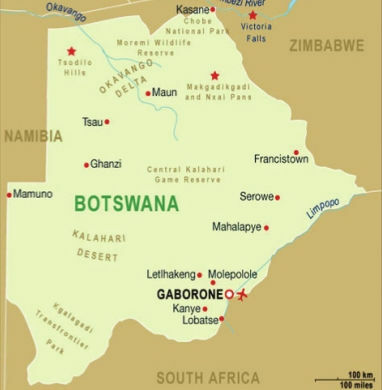 Citizens of Botswana are called "Batswana" (singular : Motswana), regardless of ethnicity. Formerly a British protectorate of Bechuanaland, Botswana adopted its new name after becoming independent within the Commonwealth on 30 September 1966. It is bordered by South Africa to the south and southeast, Namibia to the west, Zambia to the north, and Zimbabwe to the northeast. The country is home to a relatively stable political system and a rapidly developing economy. Being closely tied with the economy of South Africa, the country's economy is one of the most successful in Africa, is dominated by the fast-growing service sector, world-renowned mining (especially diamonds) industry, tourism, and manufacturing. 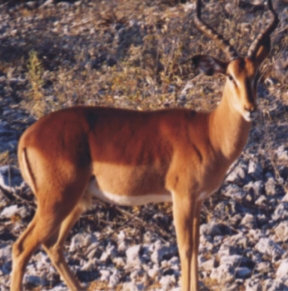 Botswana has diverse areas of wildlife habitat, including the Okavango Delta, the Kalahari Desert, grasslands and savannas, where Blue Wild beest and many antelopes as well as other mammals and birds are found. The official languages of Botswana are English and Setswana. In Setswana prefixes are more important than they are in many other languages. Some of those prefixes are "Bo" which refers to the country, "Ba" which refers to the people, "Mo" which is one person, "Se" which is the language. 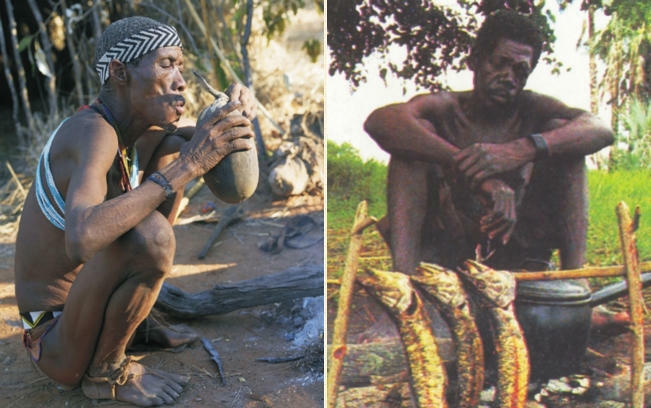 For example, the main tribe of Botswana is the Tswana people, hence the name Botswana for its country. 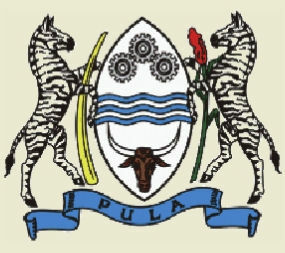 The people as a whole are Batswana, one person is a Motswana, and the language they speak is Setswana. Lesotho, located in the middle of South Africa, is considered a sister country. Since independence, Botswana has had one of the fastest growth rates in per capita income in the world. Debswana, the largest diamond mining company operating in Botswana, is 50% owned by the government and generates about half of government revenues. Botswana is a land of contrasts and striking beauty which is turning it into one if the world's most exciting holiday destinations. 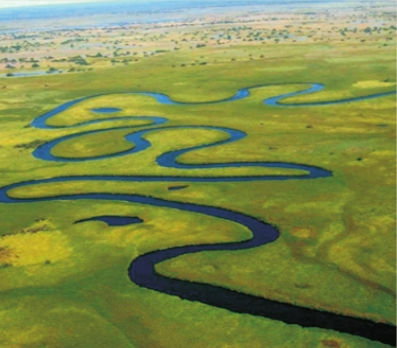 Located here are some of the most extensive and unspoiled wilderness areas in Africa with the Okavango Delta being one of the world's most spectacular wetlands. The most popular sport in Botswana is football. Botswana is an associate member of International Cricket Council. 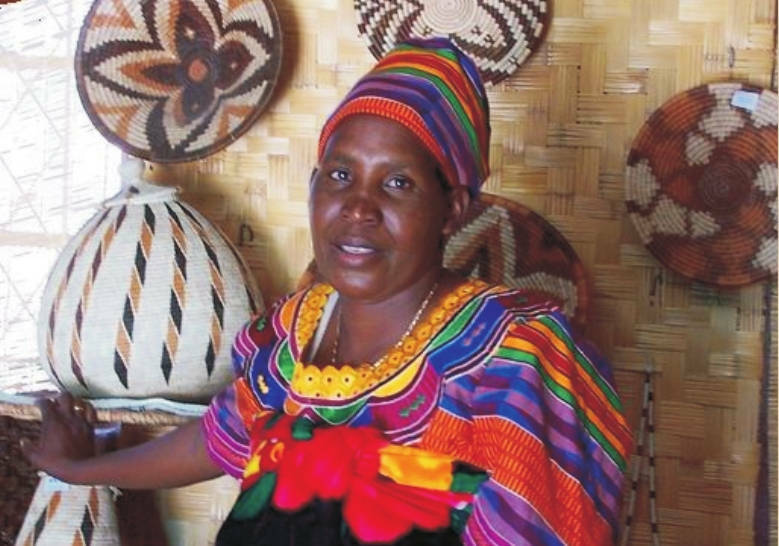 In the northern part of Botswana, women in the villages of Etsha and Gumare are noted for their skill at crafting baskets from Mokola Palm and local dyes and smaller plates for the artistry of these baskets is being steadily enhanced through use of color and improved designs. Other notable artistic artifacts include Thamaga Pottery and Oodi Weaving, both located in the southeastern part of Botswana. 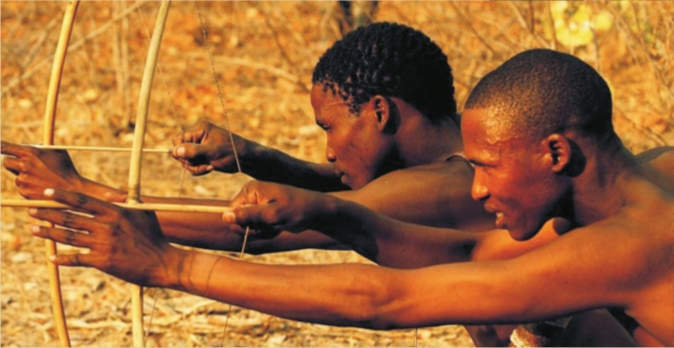 The oldest paintings from both Botswana and South Africa depict hunting, animal and human figures. The white population speaks either English or Afrikaans and makes up roughly 3% of the population. The vast majority of Botswana's are black Africans called Tswana who belong to eight main groups. 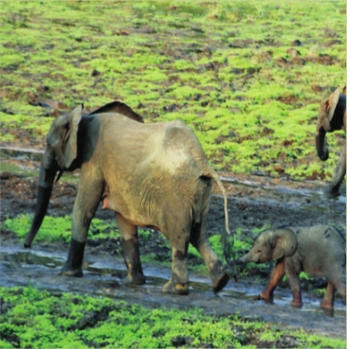 The largest group is the Bamangwato, who make up nearly a third of the population. Most of the Tswana live in large rural villages and farm or herd for a living. 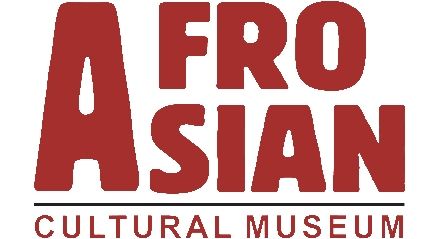 Their main food crops are corn, millet, and sorghum.